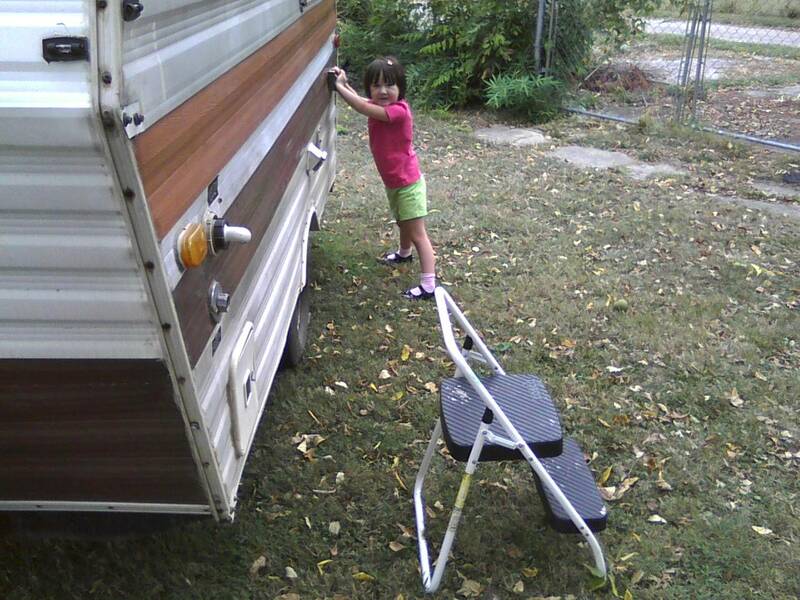 We’re still at work on this camper project. I haven’t taken many pictures because I’m usually too dirty or painty to touch my camera, but I snapped this one today on my phone. I gave Dorothy a sanding block to use while I was using the electric wire sander thingy my brother loaned me. I got one side cleaned, sanded and primed today. The stripes are gone! (Insert evil laughter.) But I may not be able to move my arms or hands tomorrow, as they got the sort of workout they aren’t used to. I just chopped vegetables for soup, and ouch. But it’s so enjoyable to see this project take shape!